We recently moved over the Holidays…er, we actually moved our beds on Christmas day. Sounds crazy, right? In hindsight, it probably was a little less than ideal, but we were just a little anxious and what else are you going to do on Christmas Day? We’d done enough eating and drinking to sink a ship, so why not get out and “move” a little! One of my favorite features of the new house is the backyard. It’s completely different than our previous yard, which we loved, but it’s a refreshing change. 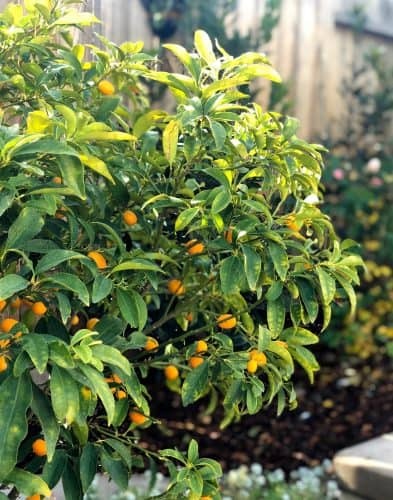 There are two kumquat trees nestled between the pool area and I love that. Coming from an agriculture background, any time I can surround myself with real living fruits and veggies, I jump on it. Along with getting settled in, we’ve run across all sorts of things to sort, toss and clean. It is quite the undertaking! Another huge calming effect is making the house smell clean. With the hustle and bustle of people trekking through the house, it’s nice to be able to calm the odors that come with it. 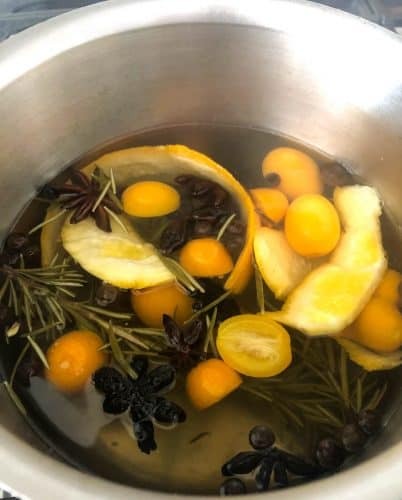 As you can see, I used some of my kumquats and a few other aromatics. 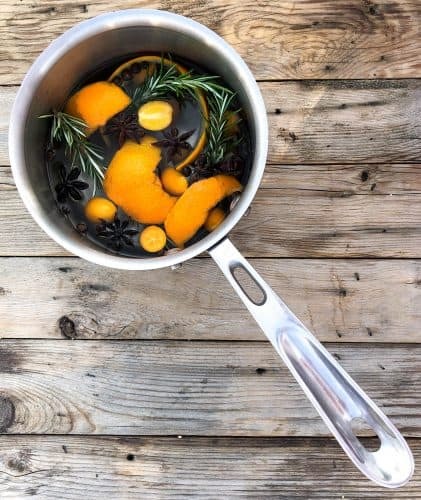 Rosemary, star anise, ginger and few shots of vanilla. I basically let it simmer all day on the burner on low. The scent is subtle and long-lasting. 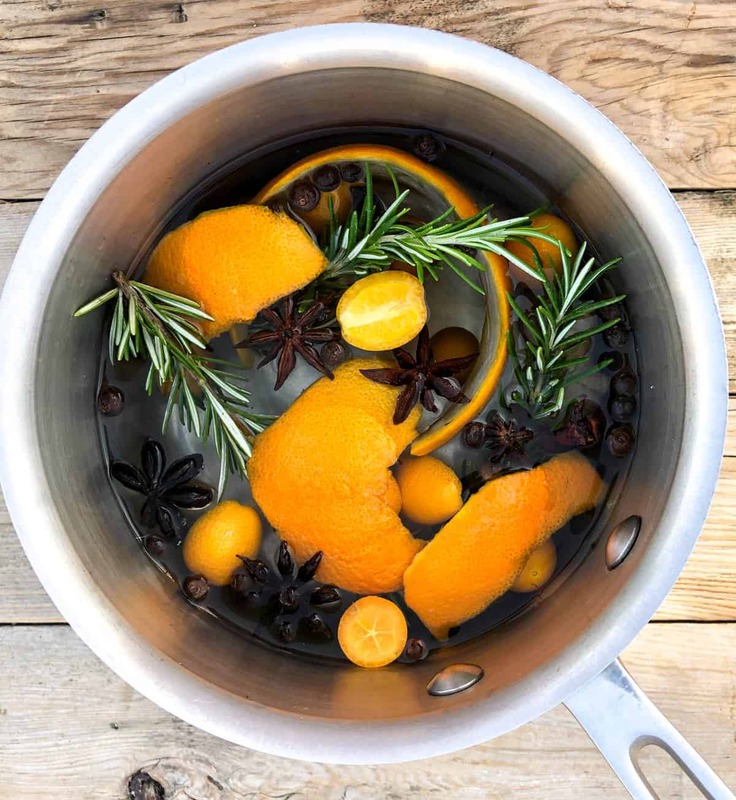 As the day wears on and the water evaporates, you can just add more water and continue to simmer. 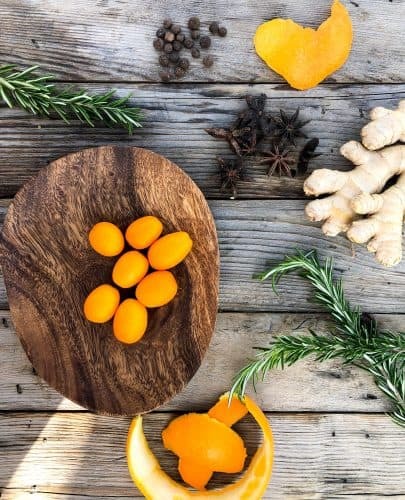 Next time you’d like to freshen up your home with a wonderful scent, check what you have growing in your yard, hiding in your spice drawer, or have left over from a store run. 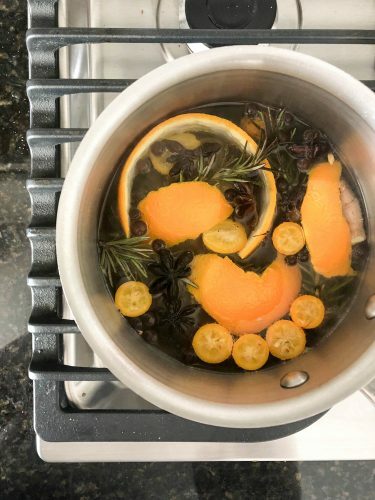 Chances are you’ll have a concoction worthy of a simmer!